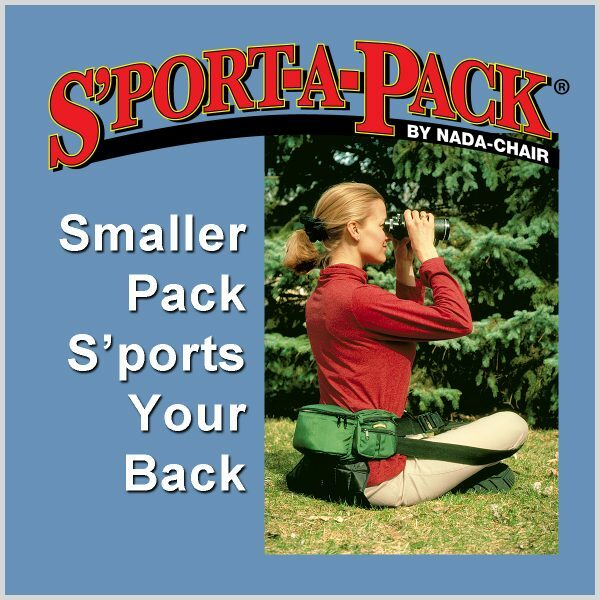 S’port-a-Pack – Nada Concepts, Inc.
Nada-Chair’s fanny packs are designed with built-in seat pads and back support cushions. 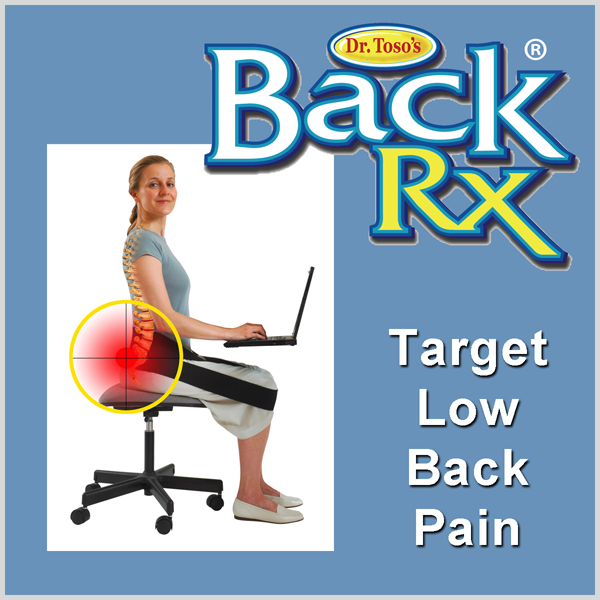 You no longer have to suffer back pain from slouching on canoe seats, fishing boat seats, camping chairs, stadium seats or in tree stands hunting. 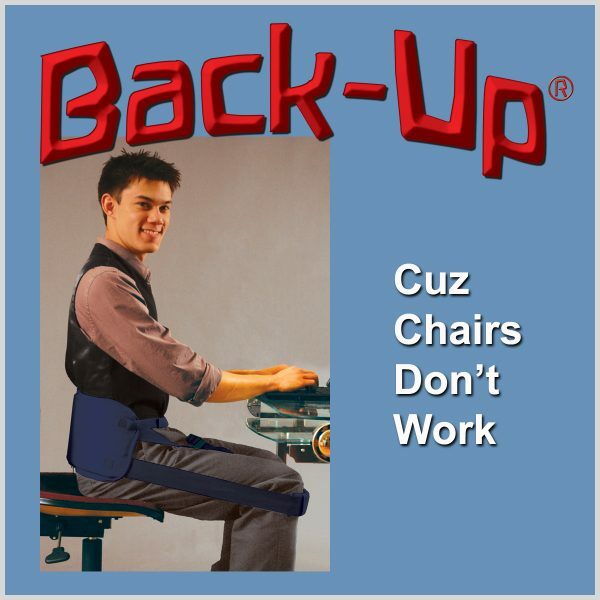 Our sling backpacks work better than any chair back support. 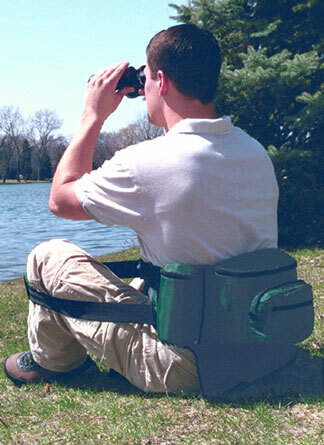 The S’port-a-Pack is a sturdy belt pack designed to keep things you value close at hand. And if you value comfortable support, this pack’s for you. 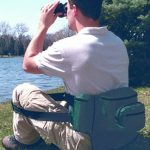 Support straps are stored in side pockets that turn your pack into a backrest. 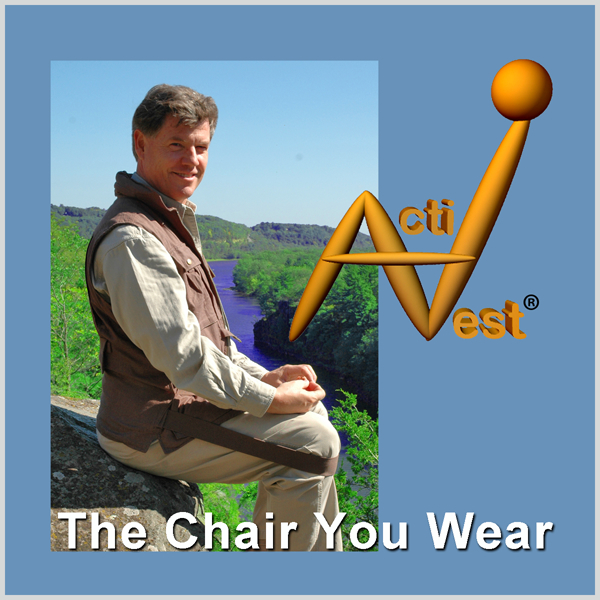 A convenient seat pad also folds out in case the stands are cold or you want to sit on the ground. Available in Black.